In today’s business environment, the importance of optimizing the revenue-generating capability of organizations for business leaders is well established. While many companies around the world have undertaken sales effectiveness initiatives, the reality is that there still exist a very high percentage of firms, both large and small, that have not undertaken this important task that can transform an organization’s culture and performance. A successful sales enablement effort requires the organization to have a clear understanding of its current state and its strategies to earn customer commitment. It involves creating organizational alignment through intentional actions, embedding changes in performance support systems and sustaining the transformation through a cycle of continuous learning, feedback and coaching. Done well, sales enablement can yield long-term benefits that maximize the probability of success in driving cultural change and business results. 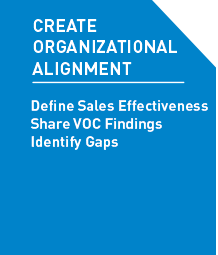 There are a number of benefits a firm will realize by focusing on sales enablement. The single largest benefit and reason to undertake this kind of effort is improved business performance over the long term. A sales enablement effort enables firms to communicate more efficiently through the creation of a common sales and/or commercial language that will also help create consistency in any brand’s message. Sales managers will be more effective in their roles by participating in sales enablement because their capabilities will be strengthened in setting expectations, training, coaching and developing their people. Fostering an environment that promotes a desire for salespeople to be engaged and encourages talented salespeople to achieve high levels of performance. Setting the right business expectations and measuring the performance of every sales professional. Rewarding superior sales performance through compensation and recognition to salespeople and sales managers who deliver superior performances. Studying top sales performers and sales managers to identify the key to success. Consistently attracting, promoting, and developing sales managers who will attract, train, develop, and retain high sales performers. Investing the time and effort necessary to reach your sales enablement objectives and goals will be rewarded through the realization of the benefits outlined above, increased revenue and profitability. With significant experience in designing, developing, implementing and evaluating sales enablement efforts that have been global, national and regional in scope, combined with my background in Lean Six Sigma, Sales Leadership Development and Sales Training I am in a position to help clients optimize sales and marketing functions. Over the course of my working life, I have developed a deep understanding of the sales function that will benefit your organization as we work together to analyze the current state from multiple perspectives, create awareness, develop resources, prepare professionals, implement the program and evaluate sales enablement efforts impact on customer loyalty and business performance. From a fully integrated global scale solution rolled out in multiple languages to a simple selling model with supporting tools for sales managers, I can can help you find a solution that meets your performance improvement needs and budget requirements.